The sugar production upto 31st March, 2012 is 232 lakh tons. This is about 27.5 lakh tons higher than the production of 204.5 lakh tons achieved last year at the same time, indicating an increase of 13% over last year.As compared to 329 sugar mills crushing on 31st March, 2011, 385 sugar mills are continuing their crushing operations as on 31st March, 2012 this year. In the six month period from 1st April 2011 to 30th September, 2011 last season, another almost 40 lakh tons were produced. Considering that there are higher number of sugar mills still crushing sugarcane as compared to last year at the same time, there seems to be no doubt that the estimated sugar production of 260 lakh tons will easily be achieved. It will only mean that another about 28 lakh tons is required to be produced in the balance six months to achieve the estimated sugar production of 260 lakh tons.Uttar Pradesh has already produced 66.35 lakh tons upto end of March 2012 which is already 7.50 lakh tons higher than the final production of 58.86 lakh tons last year, for the whole season. As compared to last year when 41 sugar mills were working, 94 sugar mills are still crushing sugarcane this year in U.P. and should produce around 68 lakh tons before they close.Maharashtra has produced 80.18 lakh tons upto 31st March, 2012 which is 8 lakh tons higher than last year upto the same period. As per ISMA’s estimates, Maharashtra should be producing another 10 lakh tons this year. This is much lower than what Maharashtra produced after 1st April last year of over 20 lakh tons. 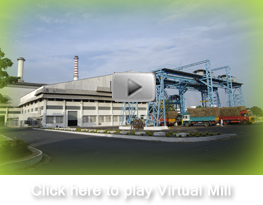 This is also because, as compared to 144 sugar mills working in Maharashtra last year April 2011, there are 140 sugar mills working at present and it is expected that the sugar mills in Maharashtra would be closing their operations sooner than last year. ·The third largest sugar producer in the country, namely, Karnataka has already produced 35 lakh tons which is 5 lakh tons higher than last year at the same period. ISMA’s estimates put the sugar production from Karnataka to be around 38 lakh tons. With 46 sugar mills still working in Karnataka as on 1st April, it seems possible that Karnataka should produce another 3 lakh tons in the balance period. ·With 260 lakh tons of sugar production, which is still higher by 8 lakh tons than that being estimated by Government of India, and considering that the Government has permitted about 30 lakh tons to be exported and 215-220 lakh tons of domestic consumption, the country still has a surplus of around 15 lakh tons which can very comfortably be exported, for which Government should give permissions immediately. ·With the current trend of sowing all over the country, it seems certain that sugar production in 2012-13 season will be higher than the domestic requirement and the country may continue to remain a net exporter next year too. A firmer estimation of sugar production would be available only after a couple of months. Therefore, with the surplus sugar production almost certain next year, the country should carry forward the opening stock to next year as low as possible. ·Unlike opening stock of 68 lakh tons as on 1st October, 2011 which has only burdened the sugar industry throughout 2011-12 sugar season, the next year’s opening balance should not be allowed to cross 50-55 lakh tons. Otherwise, it will only put pressure on the balance sheet of the sugar mills and harm the sugarcane farmers next year.Since the window for exports seems to be available only for next couple of months before Brazilian sugar production hits the international market, the Government should allow the fourth tranche of sugar exports of around 15 lakh tons to ensure that the surplus sugar moves out of the country and sugar mills are able to reduce their inventory and clear off a substantial portion of the cane price arrears which have reached alarming levels already.